Planning a commencement is stressful. Planning a commencement for uncooperative students is even worse. Many commencement planners have to struggle with the lack of response from students. We understand the hassle, our emails get ignored too. The efficacy of planning a college commencement heavily depends on the students’ interaction with events and instructions. Students generally do not see a reason to participate if they do not directly benefit from the results. Students make a deliberate choice to read and respond to the emails that relate to their classes because that will directly affect their grade. Classes are a top priority for any student-- especially for those that intend to graduate. However, the enthusiasm to obtain good grades and to graduate from college does not translate to any initiative to participate in the preparation process for commencement ceremonies. The administration at Colorado School of Mines has found a solution for this issue-- create a class! It is simple and it will have an important presence in every graduating students’ to do list. As a class, commencement preparation will become more of a priority for the students. Commencement coordinators will be able to create a class via the Student Information System, (e.g. Blackboard and Canvas) that is already in place at the institution. These systems offer technical support for users which helps make the process of creating a class an easy and smooth one. 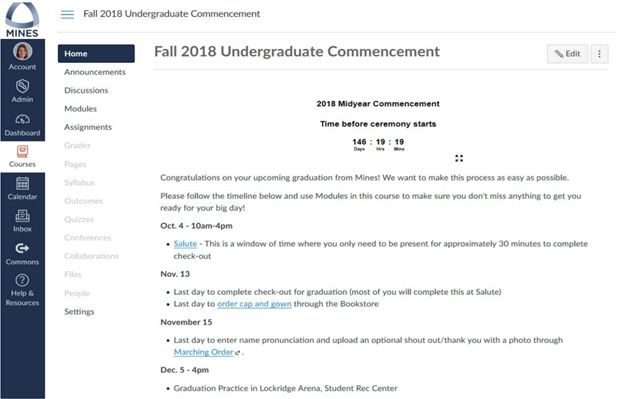 By creating a class, commencement coordinators are not only keeping the students engaged, they are also providing students with the opportunity to customize their ceremony. 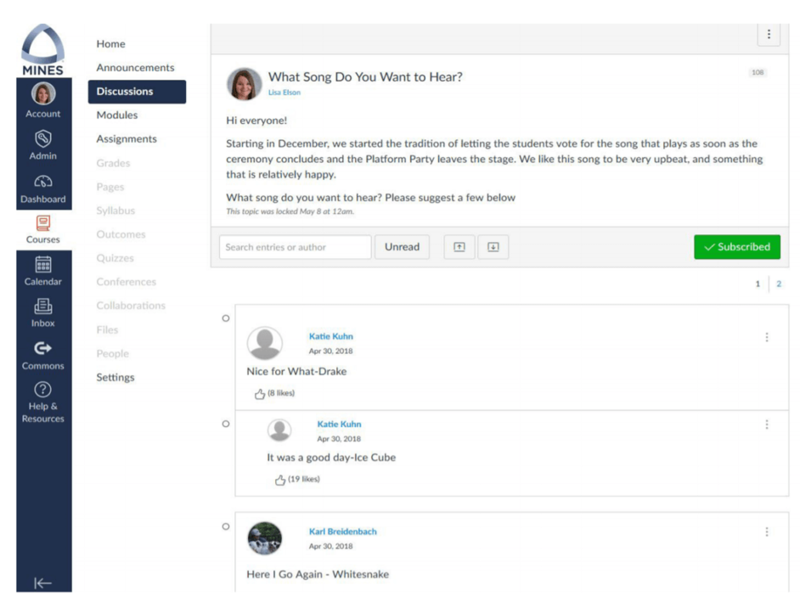 At the Colorado School of Mines, students are given the option to vote on the song that they will be walking out to. The creation of such traditions will make the commencement class seem more appealing to the students as it allows them to have fond memories of their commencement that they were able to contribute to. The commencement classes created by Lisa Eldon have yielded positive results in the Colorado School of Mines. Out of the 853 graduating students only 18 did not accept the invitation to participate in the class.